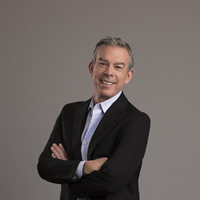 Elvis Duran is the host of the most-listened-to Top 40 morning show in the U.S. on New York’s Z100 which consistently ranks No.1 across multiple demographics and top markets. Duran’s radio career spans over 30 years and has included both host and program director duties at Philadelphia’s WIOQ and Austin’s KBTS, as well as stints at Z-93 in Atlanta and KRBE Houston. He began hosting his daily radio show on New York’s Z100 in April 1996 and since that time, the show’s success led to a national deal in March 2009 with the country’s leading radio syndication company, Premiere Networks. In addition to airing on over 80 radio stations nationwide, the show can be heard on SiriusXM Satellite Radio, iHeartRadio.com, the iHeartRadio mobile app, and The Elvis Duran Channel on www.ElvisDuran.com. Duran and his program have been recognized with a number of awards and nominations with the National Radio Hall of Fame inductee receiving a star on the Hollywood Walk of Fame in 2017. Today, Duran isn’t just a driving force in radio, but has entered the TV arena as a regular guest on the TODAY Show as well as co-hosting Entertainment Tonight’s live Grammy Red Carpet Show alongside Nancy O’Dell on POP Television two years in a row. Duran has also been a guest on The Tonight Show Starring Jimmy Fallon, Access Hollywood, The Talk, The Wendy Williams Show, The Dr. Oz Show, ABC’s Nightline, CNN, Extra, and more.